← The Brownie Troop Fishing Show! If you have a television you know that there are more sharks on our swim beaches than in recorded history at the moment. with that in mind……….. It is with great pleasure to announce the Brownie Troop/Archangel/Mickey’s Guide Service 3rd annual Surf Sharking night. 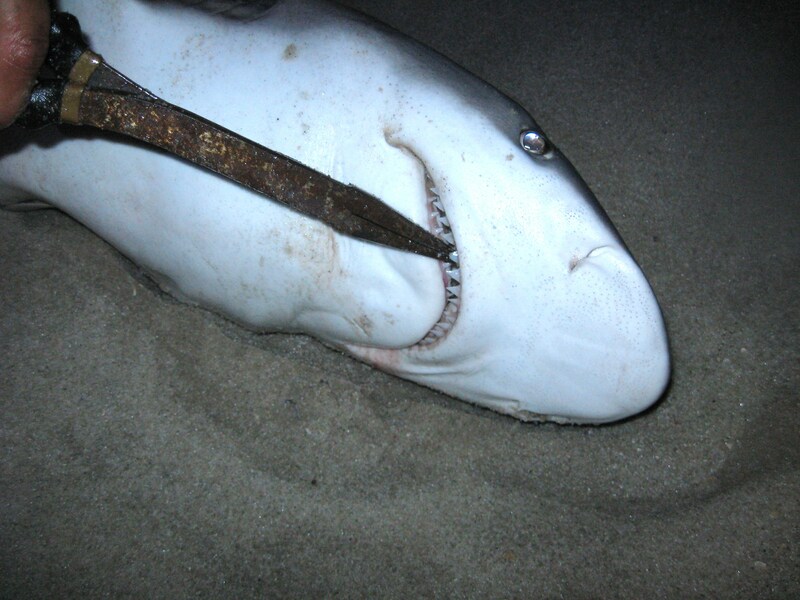 On July 25th we will be fishing for large toothy sharks from the beaches of Seaside Park (Island Beach State Park, NJ). Summertime beach visitors are not just limited to tourists, sunbathers, and swimmers—we also are visited by gigantic predatory Sharks that come within a dozen yards of our swim beaches. This includes Brown Sharks, Sand Tigers, Dusky Sharks, Thresher Sharks, Bull Sharks, the list goes on. All the sharks pose for a quick photo and are released to swim another day, it is strictly catch and release, this fishery.There have been nights where we have landed over 30 Sharks from the surf, or regular spinning rods and reels. We know how to rig the tackle necessary to land such monsters and it is loads of funs (although it tends to scare the hell out tourists on a late night beach walk. When they see what roams the swim beaches they think twice about going in the next day). 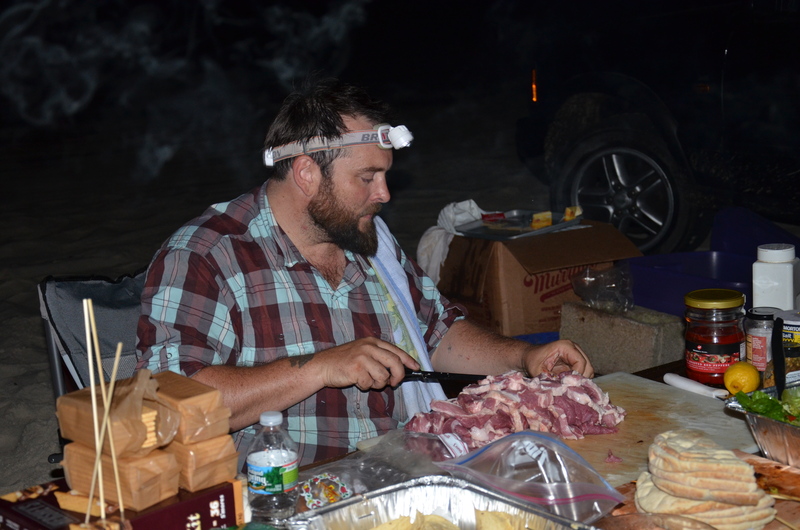 We have done this many times before and it is a fun, and full service experience with lots of beer, and catered food cooked in front of you in a fire pit. 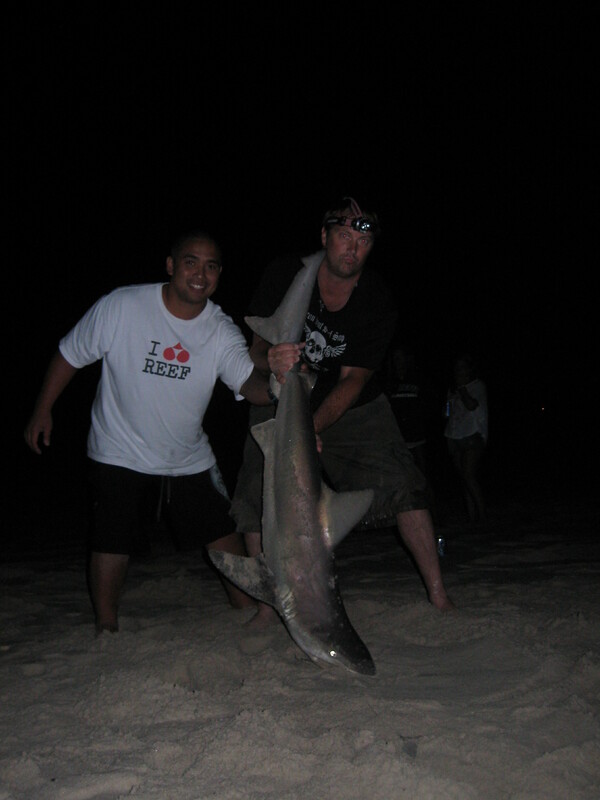 We have been written up in many national fishing magazines for our exploits Sharking from the Jersey shore. This is something you have to experience at least once in your lifetime. We are also printing t-shirts to commemorate the event, which will be held in tribute to the late Ken “Bigfish” Jelnicki, one of NJ’s pioneers of surf sharking, and inventor of the “surf rocket”, see video below. Admission to the event will be held to 25 people as we want everyone to at least have a fair shot at catching a shark—you will be pre-assigned a rod and reel and if a shark happens to choose your bait you can have bragging rights. Hopefully everyone gets a chance at a big fish. Large cow-nosed Sting Rays and Bat Rays are also in the mix at this time of year, we’re talking Sting Rays over 100 lbs, a battle in itself. A meeting time and location will be pre-assigned secretively as we don’t want moochers and gate crashers at the event. 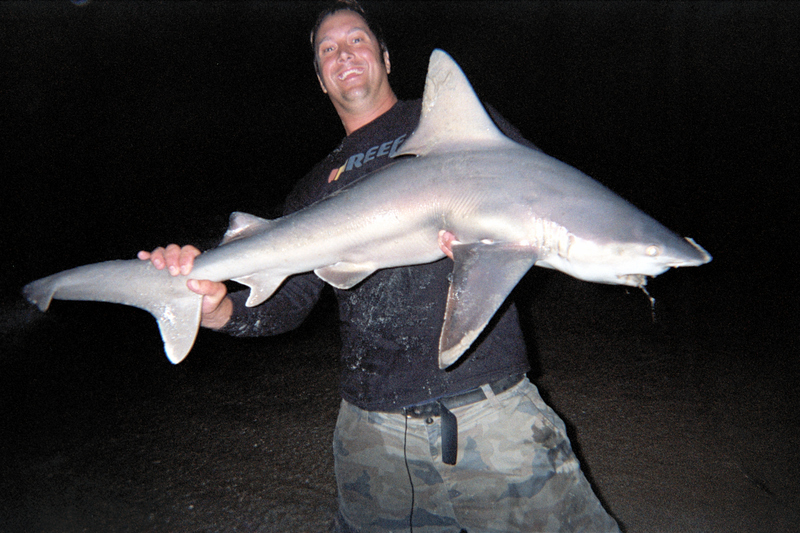 Surf Sharking is one of the few kinds of fishing where it is “the more the merrier”, as the more baits we have in the water, the more scent to attract the sharks to our area. We heavily chum throughout the incoming full moon tide, when the sharks come in on the spawn. It is the party to end all parties and people that have experienced it never forget it. Hotels and Motel rooms are hard to come by that time of year so you’re going to want to book in advance. The event will be limited to 25 people and tickets are $300—-the food we have prepared on the beach is absolutely fantastic and we will have t-shirts for everyone that pays to come. It is a deal and a chance at memories you’ll never forget! Please contact vealmarsala@gmail.com to reserve your spot or call me at 215-693-4215. These will go very fast! Lastly, the Dean Ween Group will be performing on August 1st at the Stone Pony in Asbury Park, just a dozen miles south of where we’ll be fishing—it’s not just a fishing trip, it’s an event! Make a road trip out of it. Check out some pics and videos of previous Shark outings.